It’s almost Easter Sunday! 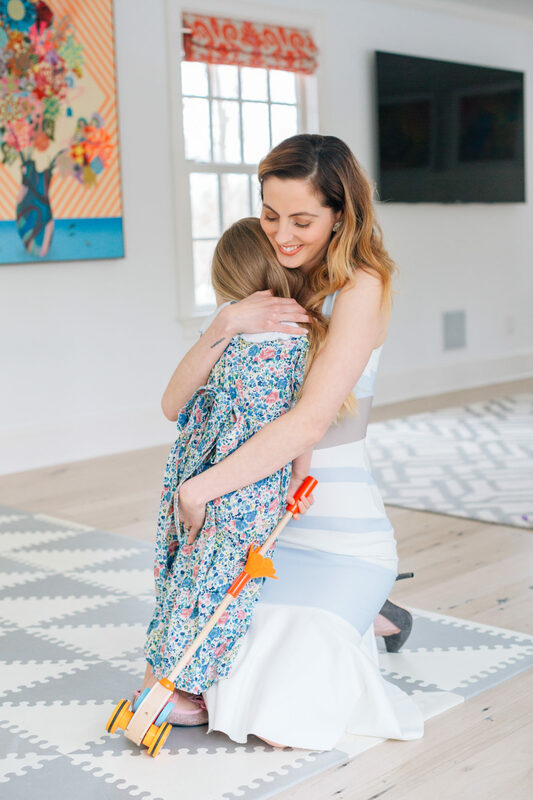 Easter was always a big holiday in my house growing up, and I’ve made an effort to continue that with my own kids! We like to have some fun celebrations leading up to Easter Sunday, including dying eggs, decorating, and reading lots of books about Easter. Then on Easter morning I set out cute little baskets for the kids from the Easter Bunny. 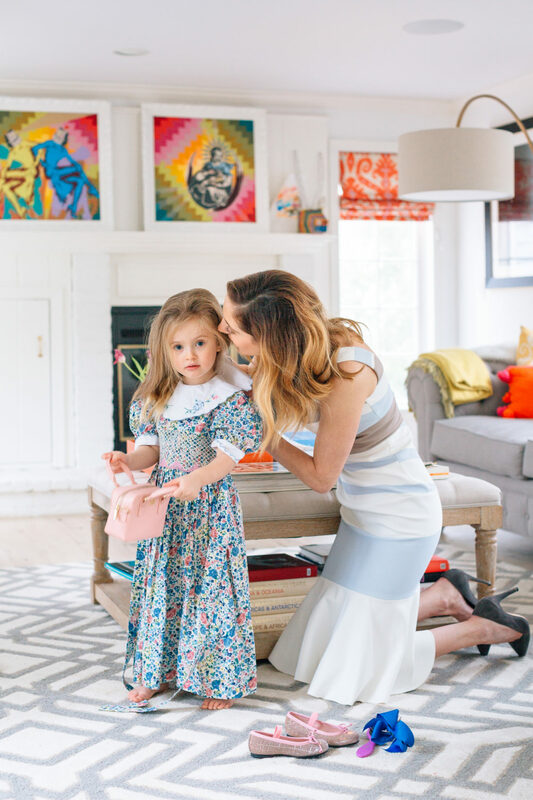 But my favorite part of the Easter celebration is always finding the perfect Easter Dress– for both me and Marlowe! 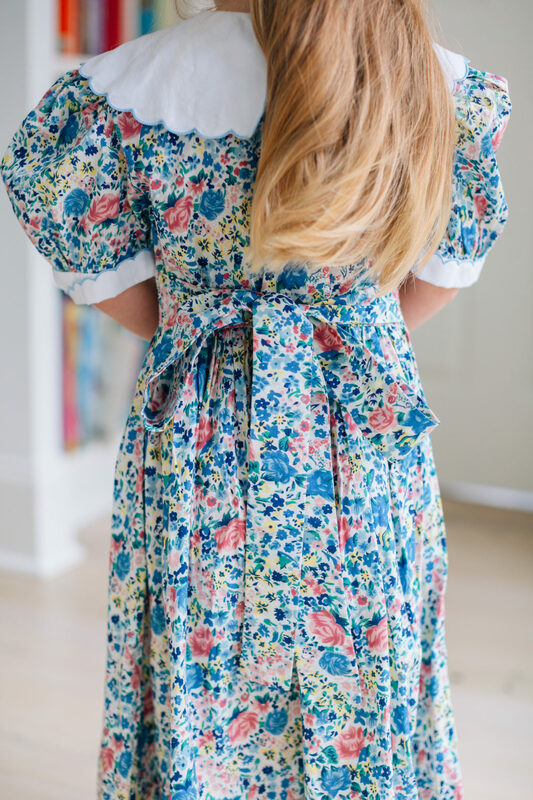 I am totally partial to wearing dresses for Easter. 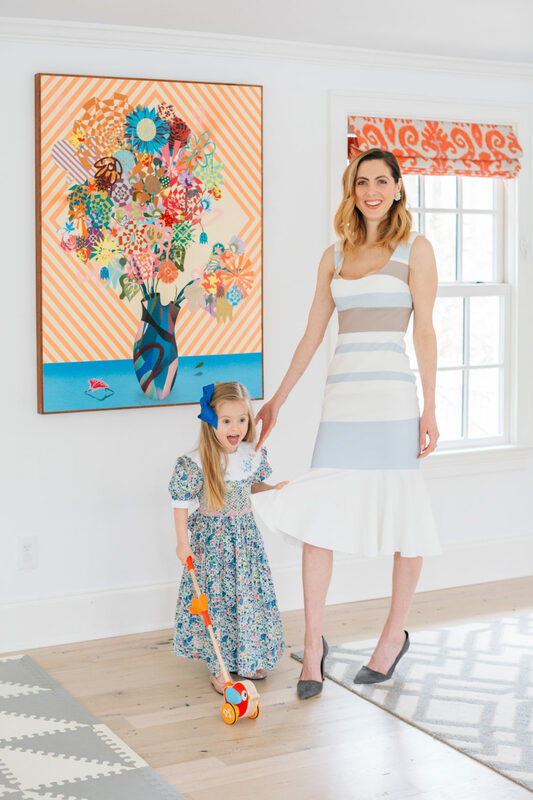 I know there are adorable other combinations of clothing items you can wear for a great Easter look– but to me there is nothing quite as classic as a beautiful, timeless dress for Easter Sunday. Plus it’s a great way to start breaking in that Springtime style! My Mom somehow held on to tons of my special occasion dressed from my own childhood, and it’s been so fun and nostalgic to dress her in them over the years! 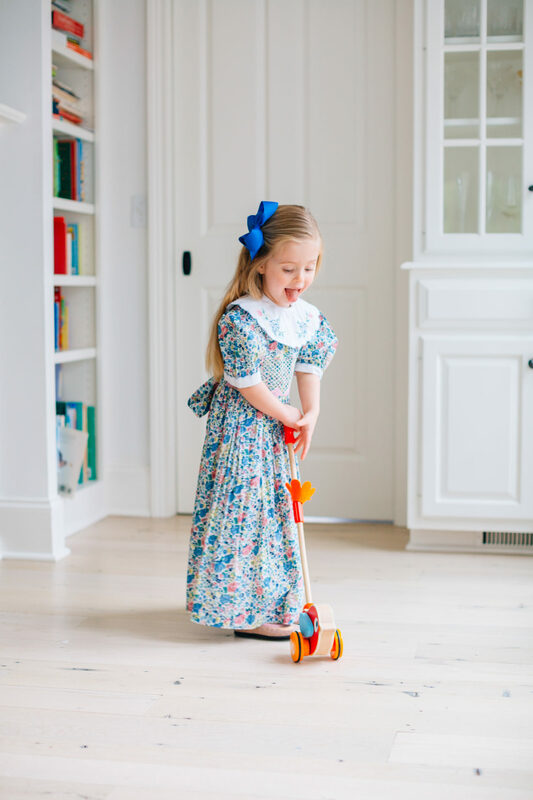 This year for Easter, Marlowe will be wearing a vintage Italian embroidered and smocked dress I wore when I was four years old! I love how the style is just so ladylike and classic– and the blues in the floral bring out her eyes better than it ever did for mine! 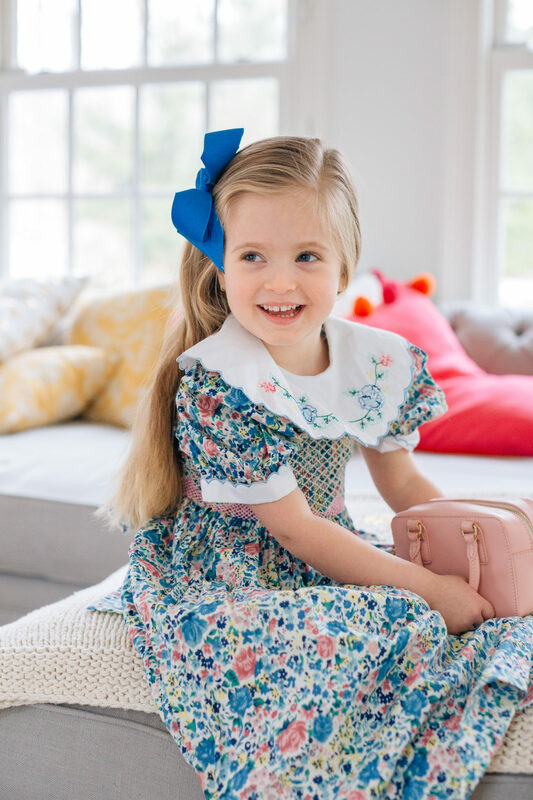 (My eyes are hazel and hers are blue like Kyle’s) It’s almost like this dress was waiting for my daughter since I was a kid! I could literally cry even thinking about that. 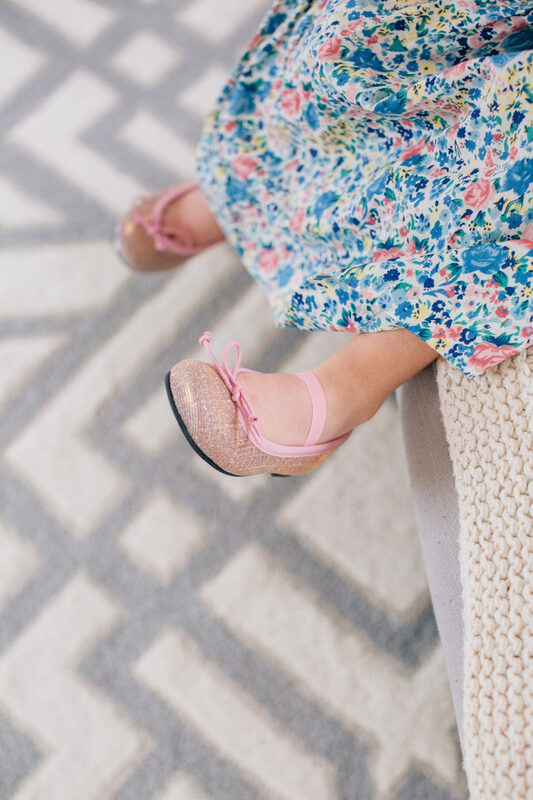 Marlowe absolutely loves wearing these old pieces of mine– and there are only a few left. It’s sweet to savor them while they last. I will OF COURSE be holding on to these for my own Grandchildren! I hope my kids have an interest in continuing the tradition. For my own dress, I am loving this one from By Johnny. The fit is just so spot-on (I have a few of their dresses and the way they cut clothes is so flattering…and the color combos. SWOON. ), and low-key pastels in the stripes is exactly what I was looking for. I paired it with a grey suede pump and a fun pair of vintage floral earrings. 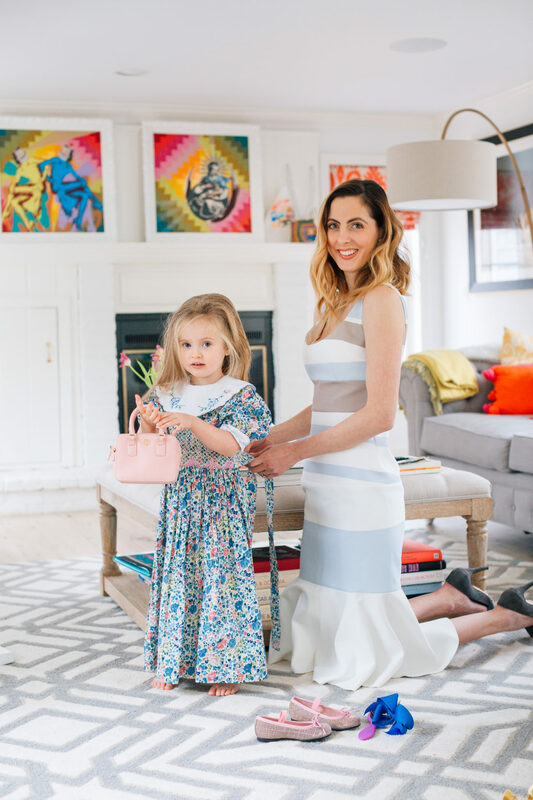 Getting my daughter and I dressed and ready for Holidays is something I cherish so much. I always let her watch me do my makeup for special occasions, and take extra time brushing her hair and dressing her. I hope she remembers us taking this time together when she looks back on our relationship over the years. Holidays are one of the many ways I access joy in my own life– putting care and effort in to celebrations are seriously one of my “love languages”– as weird as that may be! LOL. Going through these simple but beautiful rituals with my daughter just makes me so happy. 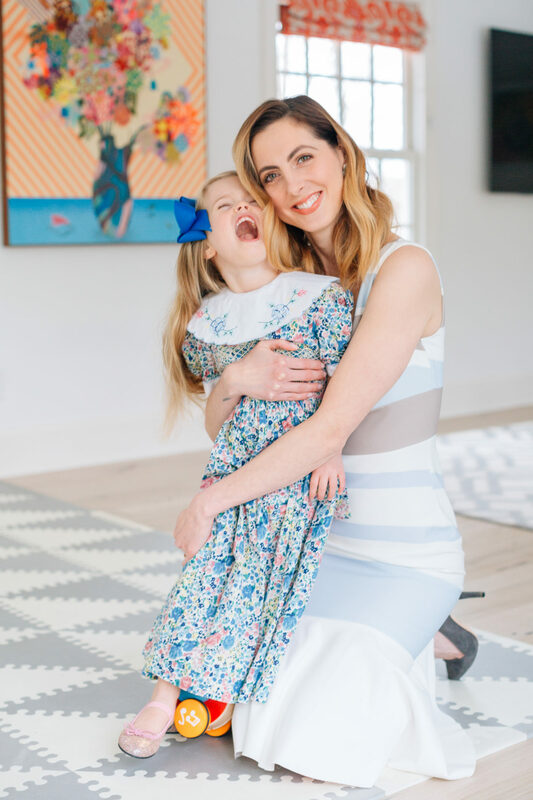 My greatest wish is that my kids remember me as somebody who tries to put as much joy as possible in to the little moments in life by really relishing special occasions. 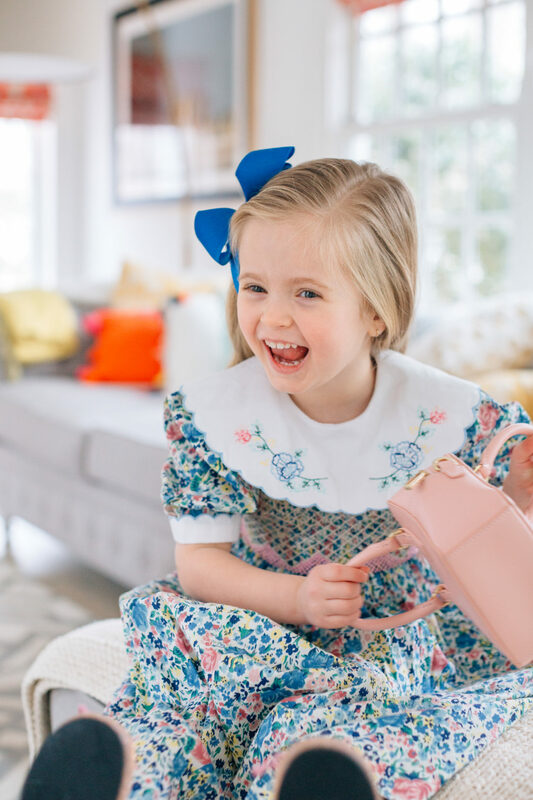 Do you have any special ways you get your family ready for Easter? I would love to hear about them in the Comments below! Love the colour combo of Marlowe`s vintage dress! 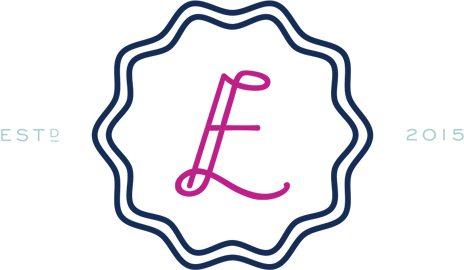 My mum was a seamstress–we immigrated from Portugal, and she used to sew dresses to local women for their kids on Easter. She continued the tradition here and I always loved watching the dresses being made from thought to conception. She, of course, sewed me dresses too, and it always made me feel like a doll going to church for Easter Sunday. Now at 28 I still look back on Easter fondly, as I`m sure Marlowe will too. I love following you on instagram! Your content is relatable, honest and fun! I have a son right around the same age as Major. This post brought a happy tear to my eye, as I can’t totally relate to having holiday traditions as a sort of love language for me. I love the time leading up to each holiday or birthday and putting together decor, recipes and outfits, paying attention to each meaningful detail. Thanks for your inspirational posts as always! Hi Eva, What do you do for Easter Sunday when you are all dressed up? Church services?